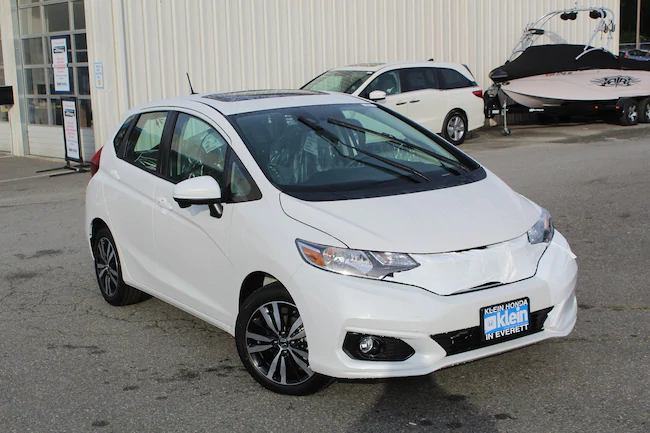 Come and check out the 2019 Honda Fit Available in Everett at Klein Honda. Like its predecessors, the 2019 Honda Fit offers outstanding practicality and versatility in a fun and stylish package. This small hatchback also offers an intriguing selection of tech features and it also comes equipped with a potent yet fuel-efficient engine. If you drive around the city regularly or on a daily basis, you ought to consider getting a small car like the 2019 Honda Fit Available in Everett. Driving around the city in larger vehicles can get tiresome because of the many turns that you have to make. However, with the 2019 Honda Fit, it is fun to drive in the city. This hatchback is nimble around corners thanks to its lightweight body structure and its responsive steering and suspension systems. It also comes equipped with a peppy 130-horsepower, 1.5 liter, four-cylinder engine that assures you of relatively fast take-offs from stop lights. This engine also delivers an outstanding fuel economy of 29 mpg in the city and 36 mpg on the highway, so it won’t use up much fuel when you get stuck in traffic jams. You and your passengers can also sit comfortably in the 2019 Honda Fit for many hours at a time thanks to its spacious interior. It offers 39.5 inches of headroom and 41.4 inches of legroom in the front, while in the rear it offers 37.5 inches of headroom and 39.3 inches of legroom. The 2019 Honda Fit Available in Everett is also in a league of its own when it comes to versatility. It comes equipped with foldable front seats and a 60/40 split second-row Magic Seat® that can both be configured in several ways to suit your needs. If you need to relax while having parked the car somewhere, you can fold back the front seats fully and recline the second-row Magic Seat® to get couch-like comfort. If you need to carry long items like surf-boards, you can fold down the passenger front seat as well as the adjacent section of the second-row Magic Seat®. The second-row Magic Seat® can also be folded down fully to create more cargo space at the back. When this is done, it avails 52.7 cubic feet of cargo space. 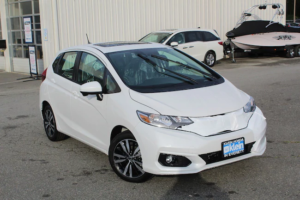 You can find out more about the 2019 Honda Fit Available in Everett at Klein Honda. You can call us at 877-856-2475 or you can visit us at 10611 Evergreen Way, Everett, WA 98204. 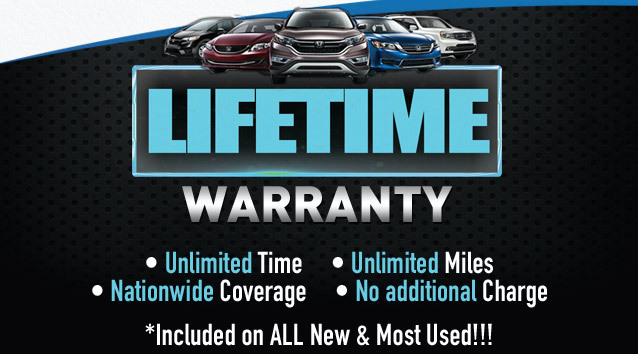 In addition to serving the Everett area, we at Klein Honda also serve neighboring towns like Seattle, Bothell, Kirkland, and Lynnwood.